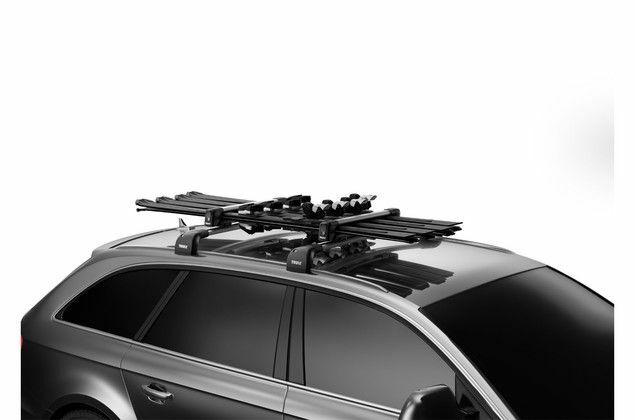 Roof rack designed for all types of skis and snowboards. 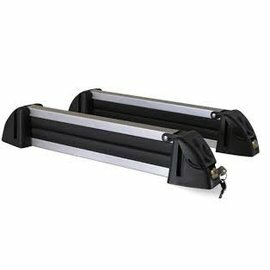 Holds skis and boards securely in place with ultra soft rubber profiles that provide grip without the surfaces are scratched. 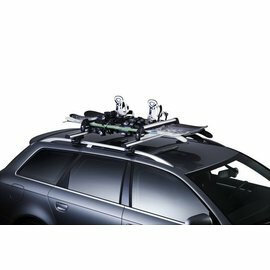 Bear safely thicker modern skis and snowboards, and lowers the height of the carrier when it is not loaded, thanks to the built-in vertical spring system. 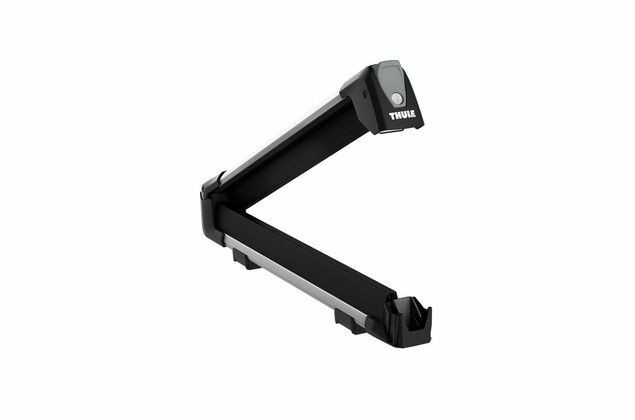 Easy to open with gloves and exit via a large push button. More space on the roof for skis with long ties with the included extensions that increase the support. 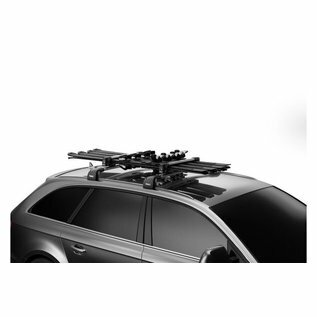 Put the skis onto the carrier and the carrier to car with Thule One-Key System (includes lock). 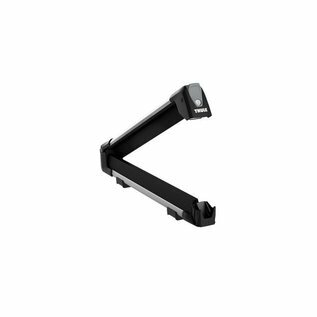 Fits directly on the T-tracks of the support rods through the embedded hardware to assemble without tools (mounting kit for square bar is available as an accessory). Meets strict safety standards (City Crash test and TÜV approved).